Online quoting helps busy designers get prices fast and keep critical projects on schedule. But many designers tell us that most online systems cannot cope with complex PCBs, so they lose up to 2 – 3 days waiting for fabricators to quote offline. Our online smart menus already provide a wide range of options for complex PCBs, and validate them as the data is entered. Two functions, new for 2014, add more options. The new PCB Configurator menu offers you over 700 pre-set multilayer builds to keep design costs down and make ordering faster.If you need blind or buried vias, the new Buildup wizard allows you add them to the build. Not all combinations are possible so the wizard automatically checks that your build can be manufactured and, if not explains why. That way there will be no production problems down-line, and no design re-spins needed. PCB Visualizer uses sophisticated algorithms to calculate the board build from the Gerber files and drill data. Inevitably among the 50,000+ new designs we handle every year, sometimes there is not enough data to make the assignment. PCB Visualizer will then flag up a message “Build may not be correct”. Layer mapping allows you to correct or complete the layer assignment. At the same time PCB Visualizer analyses your assignment and stores it to improve future recognition. 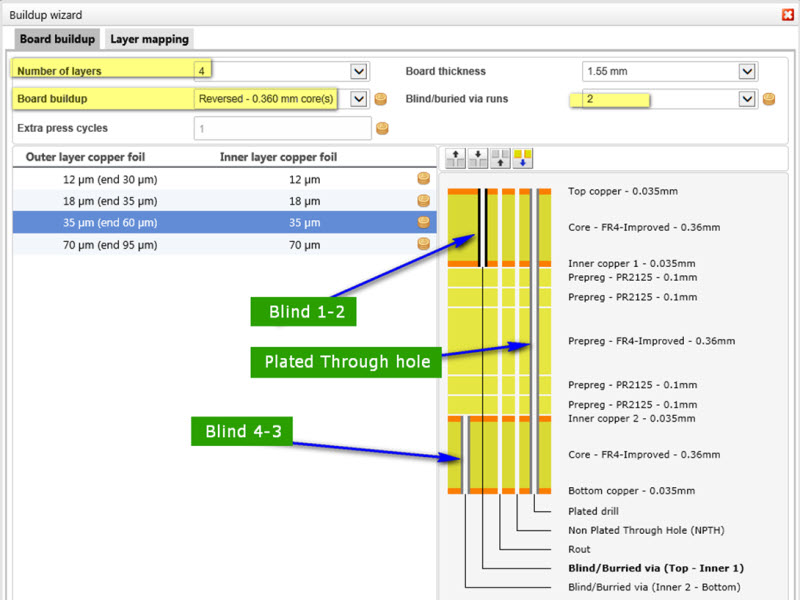 Find more information on Build-up wizard and Layer mapping , blind and buried vias and on our recommended layer naming conventions. We have added new blogs on our website. GERBER – the history behind the name and format. Extended Gerber extended. – Draft proposals for an extension to RS274-X. Southern Manufacturing and Electronics. Farnborough. 12 – 13 February. More than 95% of all PCB designs produced worldwide are transferred from designer to fabricator as Gerber files. On most CAD systems the Gerber files are output automatically. It is only rarely the designers have to concern themselves about how a Gerber file represents their data. This in itself is a good measure of the power and ubiquity of the format, but occasionally an issue arises where some background knowledge may be helpful – and there are developments being planned for the format which will make it even more useful in future. Joe Gerber (1924 – 1996) was a US inventor who had fled from Austria to the US in 1940. Right from his student days he was interested in accurate data plotting, and during the 1950’s he developed the digital XY co-ordinate table which became the core of his future business, Gerber Scientific. The first product he launched using the new table was one of the world’s first digital drafting machines. Among later products was automatic cloth cutting machinery which is still widely used in the world’s garment industry. In the ‘80s he developed computerised equipment for machining spectacle lenses, again still used today. 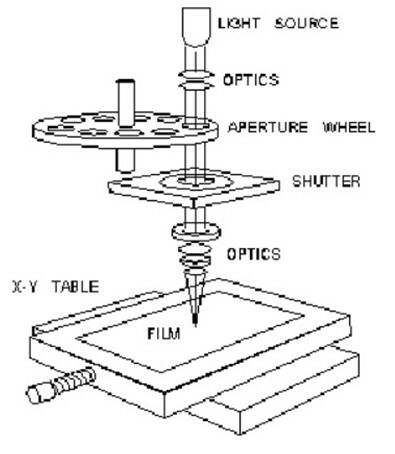 In the 1960s Joe Gerber found another use for his XY table. He introduced the world’s first NC photoplotter to generate the phototools used to produce PCBs. It worked by first moving an optical head containing a light source to the correct location over the film on the bed of the plotter. A circular wheel with different sized/shaped holes in it (apertures) was then rotated so that the correct aperture was under the light source. For a pad the light-source was flashed on and off, exposing the pad on the film. For a track the light was left on while the head moved, drawing the track on the film. Hence we still talk about “aperture tables”, and, less often these days, “flashes” and “draws”. The plotters were known as vector plotters as the head followed the actual pattern of the PCB. The actual drive format was based on a pre-existing format, RS-274-D, developed by the US Electronic Industries Association (EIA) to drive any NC machine. The data was loaded into the very first Gerber photoplotters on punched cards. By the early 1980s PCB Computer-Aided Design (CAD) systems were becoming more common, replacing the old hand-taped 2:1 artworks. CAD systems could output drive data directly to a photoplotter to generate the phototools. At that time most photoplotters were Gerber plotters. Other vendors moved into the photoplotter market, but as Gerber had published a full specification of their format in 1980, Gerber RS-274-D became the de facto standard. As a vehicle for transferring PCB layer images, the format had one critical limitation: the size, shape and number of the apertures was limited by the physical aperture wheel. This worked (more or less) for designs using conventional through-hole components with round or square pads, but it couldn’t handle the new surface-mount components which used a wide variety of mainly rectangular pad sizes. Using RS-274-D the only solution was to “paint” the pads with tiny draws. Similarly, a simple plane layer could be plotted in reverse, that is, the clearance holes in the plane are plotted black and the board manufacturer reverses the polarity either in his front-end CAM system or physically by contact printing. But this won’t work for mixed plane layers or planes on signal layers. These had to be filled with draws. A large image with SMDs and planes could take up to 24 hours to plot on this type of plotter. The solution was a new type of photo-plotter and a new format. The raster photo-plotter used a light source, typically a laser, to raster-scan the film in a continuous pattern. The image was built up by a sequence of laser on, laser off commands. Now any shape could be plotted, built up of raster pixels. Today this is the standard industry tool for photo-imaging PCBs, with laser photo-plotters using up to 48 independently-switched simultaneous beams plotting at resolutions down to 50,000 dots per inch or more. Now it was possible to make the Gerber format more flexible and more suited to the requirements of the PCB designer. RS-274X or Extended Gerber was launched in 1991. This allowed the user to define and image any shape, as a pad, a track or a polygon (plane). The aperture definitions no longer depended on a physical wheel and so they could be derived automatically from the CAD job and included in the file as part of the output. RS-274X is the standard PCB layer image data transfer format used today. It is clear, unambiguous, and, if any questions arise, man-readable. Each file is complete and allows you to draw any pad-shape or copper area that you want. The old Standard Gerber RS-274-D still lingers on, despite its drawbacks. It is very limited; it needs a separate aperture table which often seems to go missing; it produces huge and unwieldy files; the output may require the merging of positive and negative images which at best requires extensive clean-up and at worst generates hard-to-spot errors. Eurocircuits can still accept the older format if needed, e.g. for old jobs, though it does not work with PCB Visualizer. However, Extended Gerber, RS-274X is our preferred format as it has none of the limitations of RS-274-D and as each file is complete including the embedded aperture definition it works with PCB Visualizer, offering you all the benefits of our advanced data checking technology. All current generation and most older CAD systems generate RS-274X output. If your CAD system is still outputting the old-style Gerber RS-274-D, look into the output settings. Sometimes it is possible to switch from RS-274-D to RS-274X. There may be different terminology used on different systems. If you are in doubt, ask us. 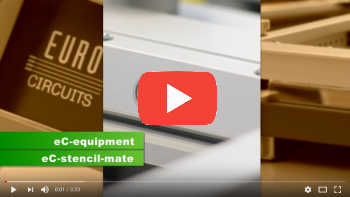 Extended Gerber, RS-274X, provides an exact and unambiguous image of the layers of a PCB, but there is still some layer information which is necessary for fabrication (especially for automated data preparation) but is not included in the format. What is the function of this layer: top copper, top solder mask, etc.? Does the image show a single PCB or a delivery panel? What is the function of this object: is it a SMD pad or a via pad, fiducial etc.? What is the board profile? Automatic recognition software like PCB Visualizer can recognize rectangular profiles but not complex shapes. What are the drill tolerances on this hole? For example, it may be a press-fit hole. Which are the impedance-controlled tracks? Which vias need to be filled? The next step is to incorporate this type of information into the data transfer format. Any such further extension of the format has to be compatible with the existing format and with existing CAD systems. Although other formats have been proposed which can include non-image information, Gerber is so widely used and so effective in operation, that, like the QWERTY, QWERTZ and AZERTY keyboards, it cannot be easily replaced. The Gerber format today is maintained and developed by the Belgian company Ucamco which bought the PCB Division of Gerber Scientific in 1997. Ucamco have recently published the blueprint for the next generation of RS-274X, Gerber RS-274X2. This adds attributes into the format which convey the information listed above. 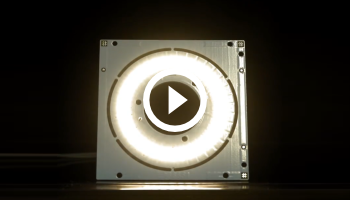 This new development is further explained in our technical blog on Gerber X2. 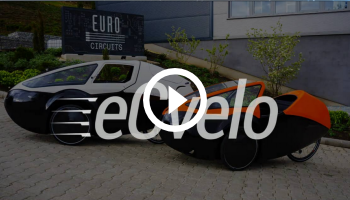 Eurocircuits are working closely with Ucamco on the new format as part of their drive to provide better tools for the European and global PCB design community. As the new attributes are implemented into CAD systems, we will add new functionality into our data input and validation procedures to handle them. Of course, we will also continue to accept the older Gerber formats.